What is an Owner-Builder? - Armchair Builder :: Blog :: Build, renovate, & repair your own home. 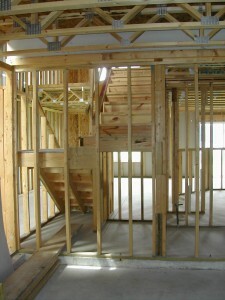 Save money as an owner builder.- Armchair Builder :: Blog :: Build, renovate, & repair your own home. Save money as an owner builder. An owner-builder is anyone who decides to take control of their building and renovation projects by taking on the role of the general contractor. The term general contractor sounds scary, but it’s just another phrase for having overall responsibility for the outcome of your project. This would include quality, budget, schedule,…etc. So, in taking on this responsibility, you can decide to get as much help as you need based on your ability and time available. If you have the time, and you have a background in residential construction, you may choose to handle most of the duties of the general contractor yourself. If you are a “do it yourselfer” and don’t have a background in construction management, you will probably hire a builder consultant to help you. A builder consultant is a home builder/general contractor that builds homes in the area of your project and can provide various levels of assistance to you. What projects are we talking about? Build a new home from the ground up. Add on to your existing home. Finish your basement. Build a new garage. Remodel your kitchen or bath. Add custom built-ins to your closets. Create your own backyard oasis with pool, cabana, bar…etc. Whatever you can dream up, you can build as the owner-builder. Maybe, you just need to fix a problem with your existing home. These would include a wet basement, a bulging basement wall, a yard that doesn’t drain properly, a window that leaks…etc. As the owner-builder, you research the problem, determine the solution, and subcontract out the repair. So, can you become an owner-builder? With the help of Armchair Builder and the team of professionals available to you, you can complete your project at a great price and per you schedule. For videos about becoming an owner-builder go to our main site…videos tab. 8 Comments for What is an Owner-Builder?